Thermal sensor can be bought in any shop with electronics, but be aware of price. At my hometown, one store sells it for 14€/piece, second store sells it for <1€/piece :) DS18B20 is also quite accurate +/- 0.5°C. Temperature range is from -55 to 125°C. Other properties can be found in datasheet. 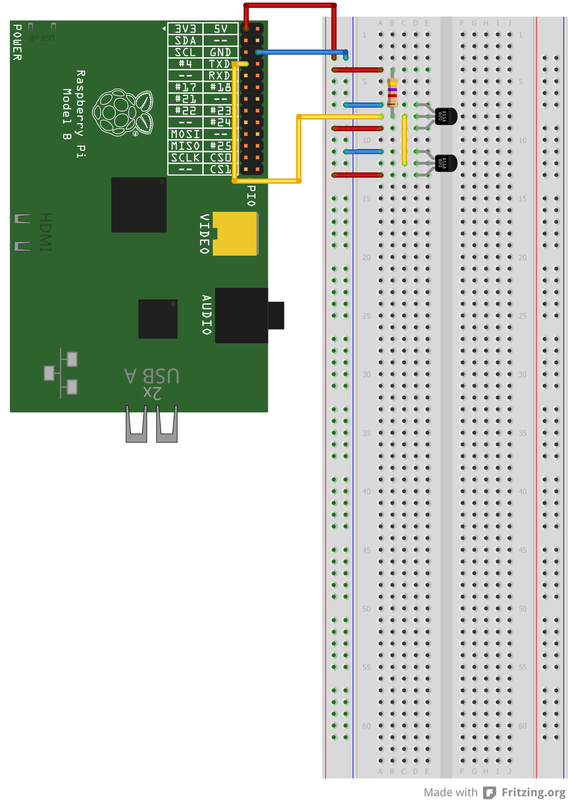 Thermal sensor communicate via 1wire bus. And here is a little problem. 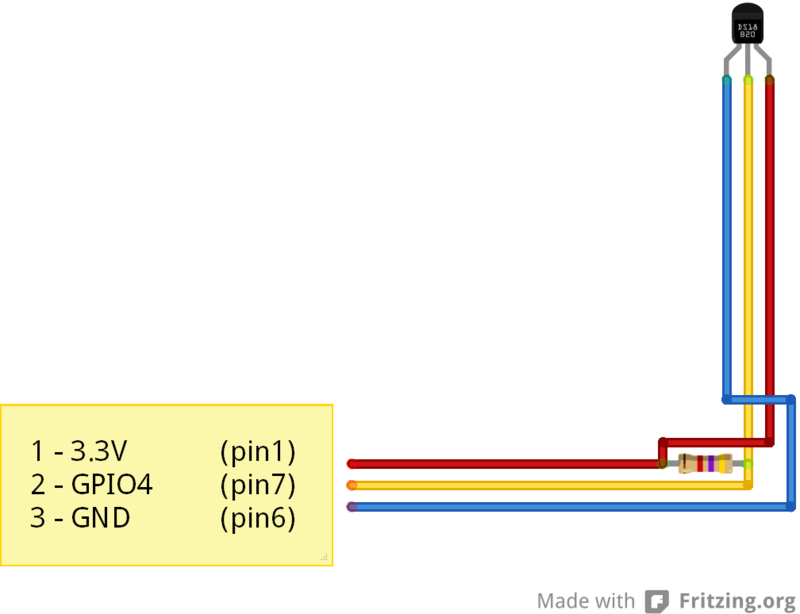 RPi doesn`t have support for 1wire bus in hardware, bus is only "emulated" on GPIO. 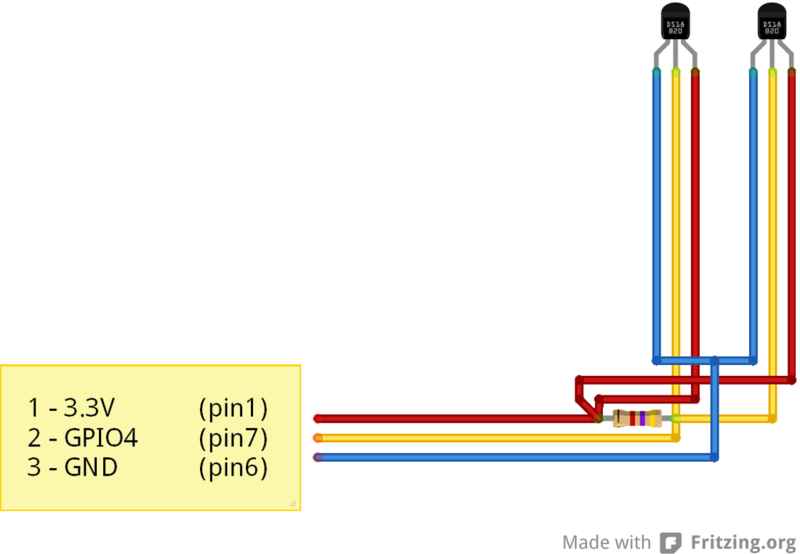 This results in fact that on other side of GPIO pin with connected thermal sensor is RPi`s Broadcom SoC. 1wire bus can be really long (with parasite power supply up to 500m). IT IS VERY DUMB to have 500m "antenna" leading directly to CPU! This way of connecting DS18B20 is only suitable and safe for distances up to 20cm. 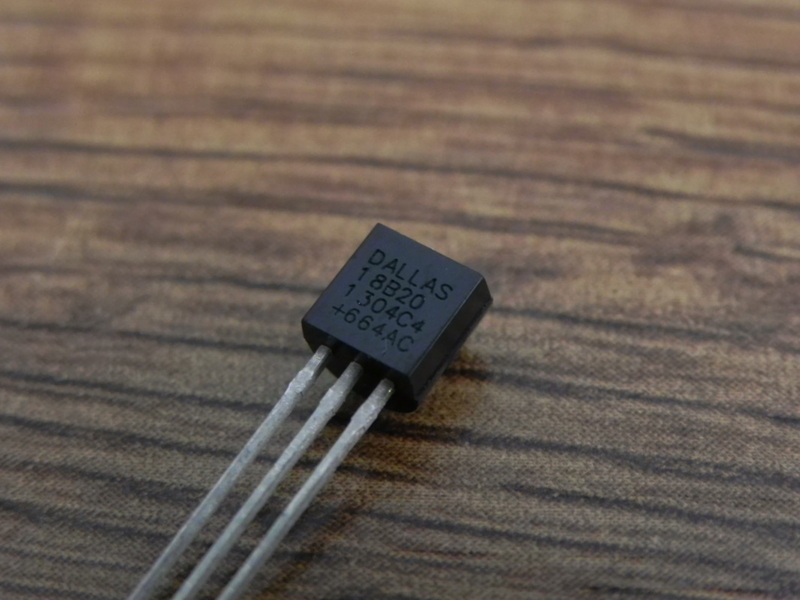 If you want to have thermal sensor further, follow this guide. Now, you can connect thermal sensor this way. Again, breadboard and soldering version of scheme. 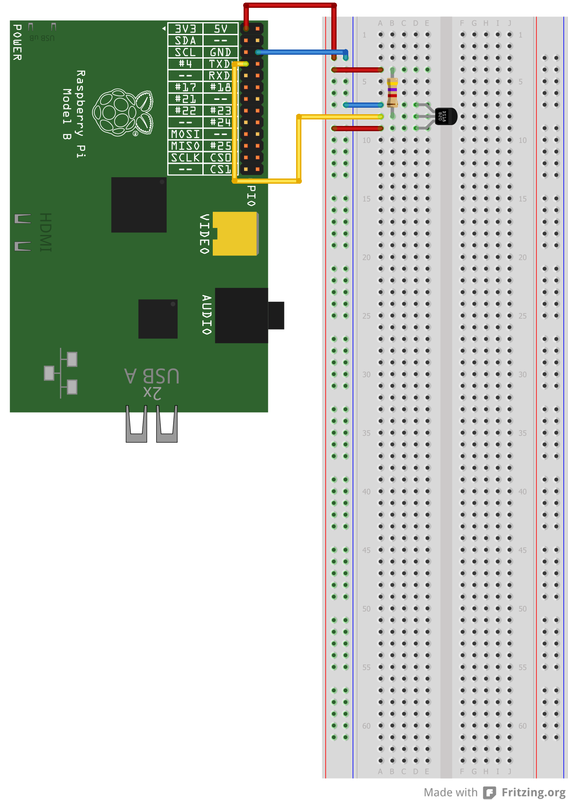 Now when sensor is connected, we can setup RPi. At first, as I stated, 1Wire implementation is only software, you have to load kernel module.